Location and privacy. 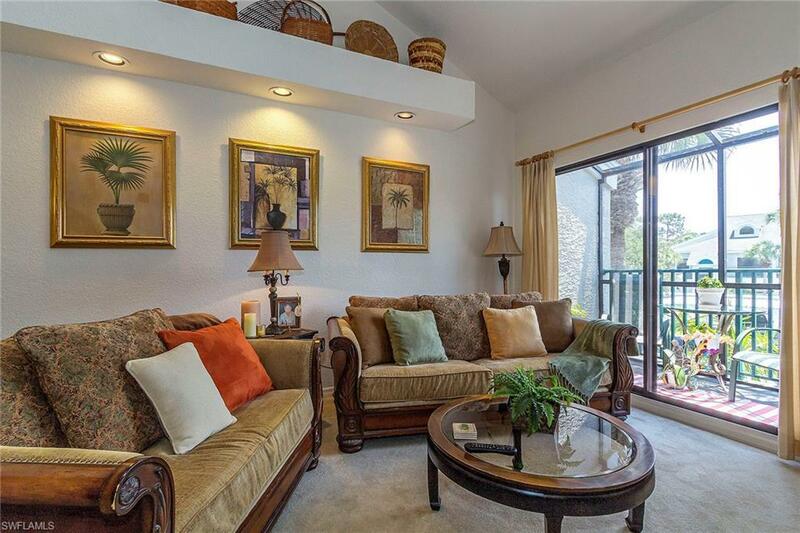 Well-maintained, beautiful condo in secluded Emerald Woods. Windows through the cathedral ceiling brighten and give the master bedroom, great room and loft an exceptionally spacious feeling. The large master bedroom with en-suite bath has tub and shower combination and dual sinks. A pocket door allows for one of the single sinks and toilet to become the powder room. This unit has TWO screened private patios, one off the master bedroom; one off great room, perfect for morning coffee or late night glass of wine. New water heater and AC unit, new stackable washer and dryer and kitchen appliances. An assigned carport is included with the property as well. Community pool/spa and clubhouse just steps away. 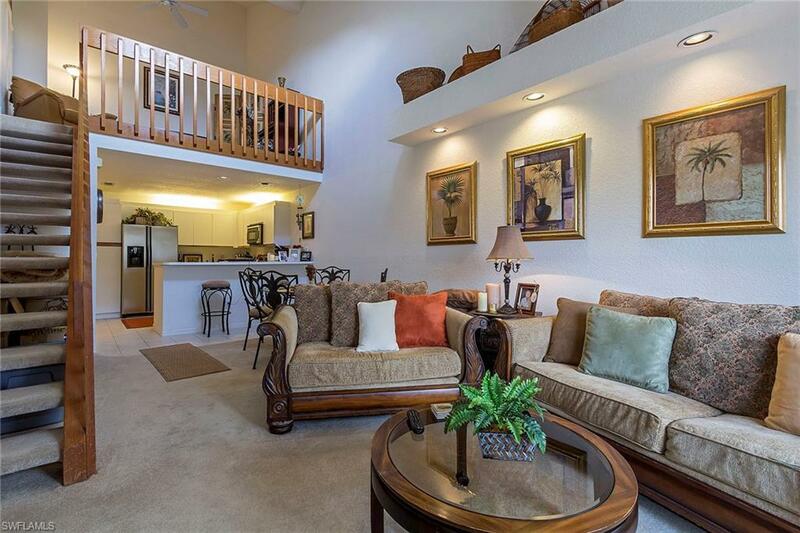 Just bring your beach towel and bathing suit, condo is being offered TURNKEY. 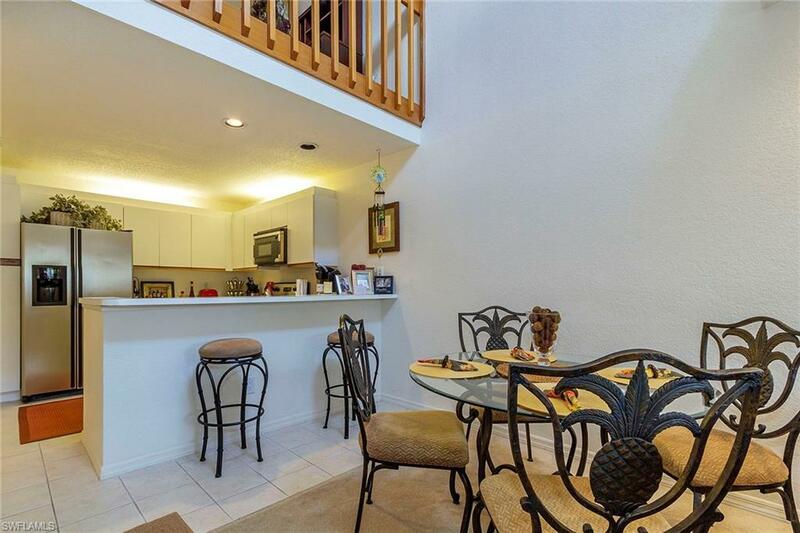 Emerald Woods is located within a close bike ride to Vanderbilt Beach and to Mercato. 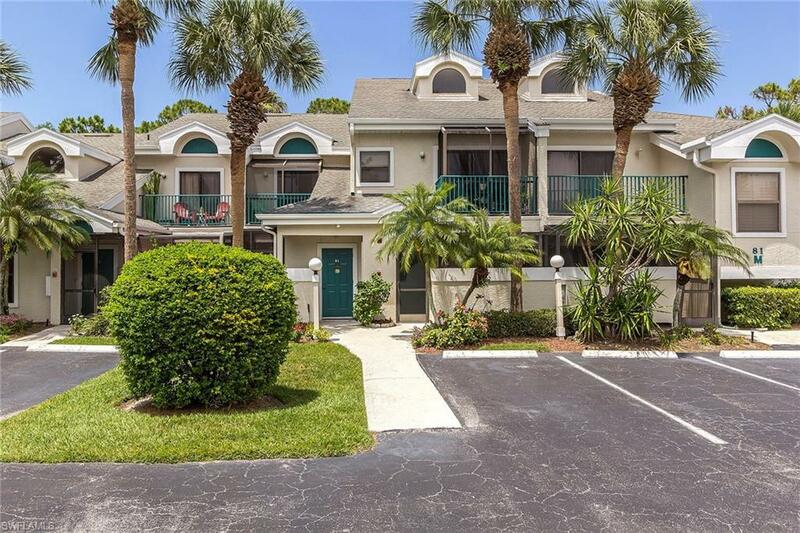 Perfect for residents, convenient to the beach and businesses or Florida lifestyle for vacationers!